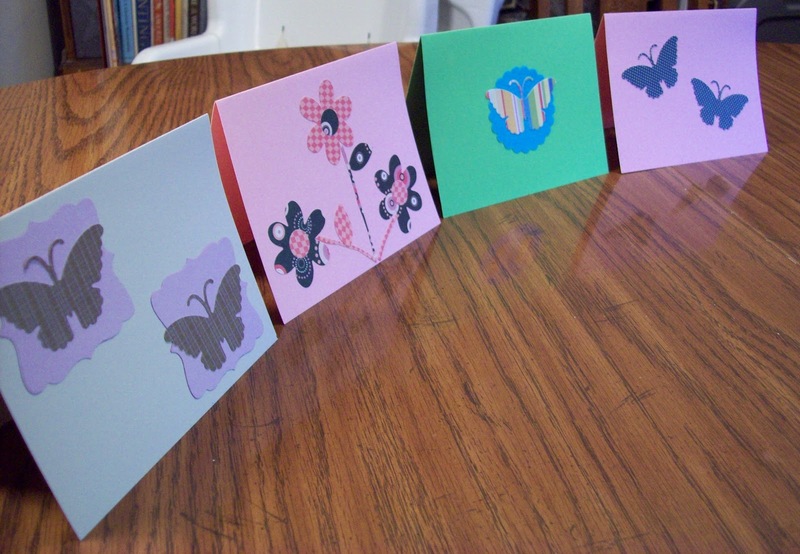 Butterflies and flowers dominate--perfect for Spring! 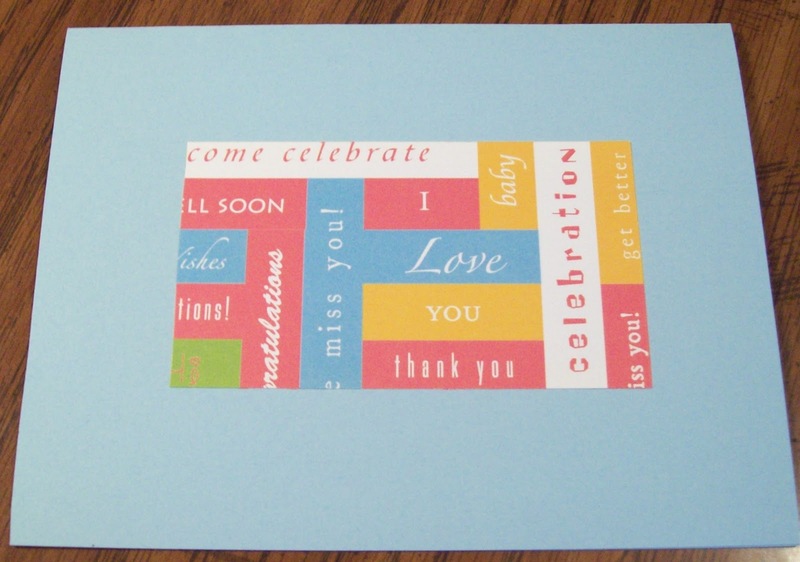 In today's fast paced world of cell phones, video chats, texting, and all-around instant connectivity greeting cards might seem a bit old-fashioned and slow. But it is so much fun to receive something in the mail! We all love getting something personal amidst the bills and junk. 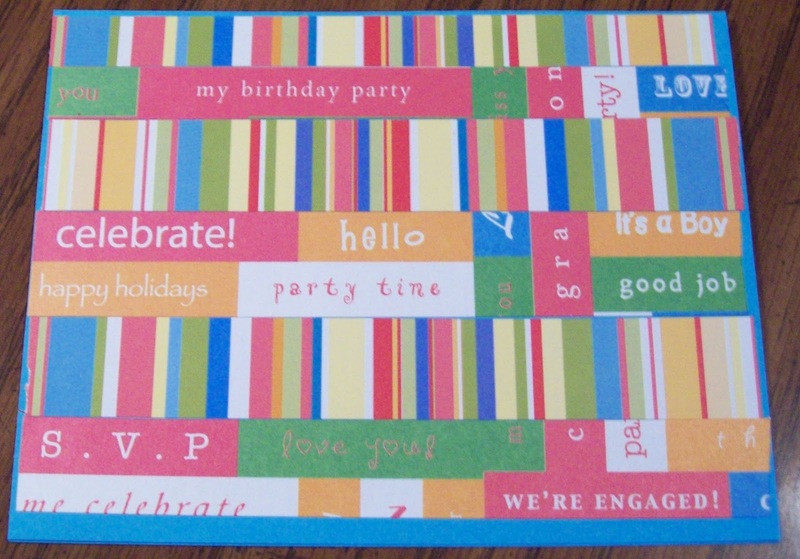 Sadly, I must confess that I am horrible at remembering to send cards even remotely on time. (A skill both my Grandma and Mom have mastered.) I always have the best of intentions, but they don't don't seem to make it to the mailbox. 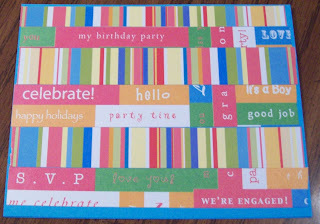 I do really enjoy making cards--which you would think would help me to be better at sending them out! 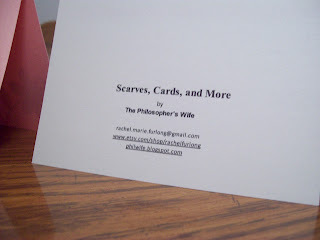 At my first craft fair back in November I sold a (surprising) number of my handmade cards, so I've been putting a few together for the upcoming fair this weekend (I'd love tips, comments, personal experiences, etc). I thought that I would share some of these creations today. I used high quality cardstock for these cards. 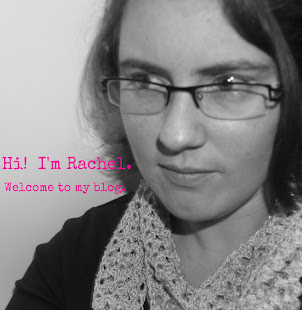 I designed a simple block with all of my information for the backs--which was something I found recommended on various sites to help promote yourself. 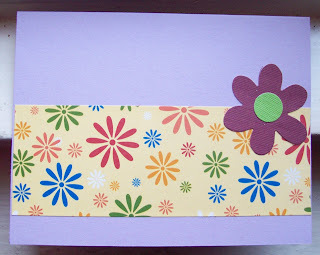 I have a Sizzix Sidekick which I love and a stash full of great papers. I have a few of these awesome paper stacks that are adhesive on the backs so after I cut all I have to do is stick them on--these are really great for some of the die cuts with small pieces that can be difficult to glue. They can be a bit pricier, but they are worth it. I think that this might be my favorite one of the bunch. the finished effect is quite interesting. papers glued to the background to make this one work. A much simpler, and less busy, version of the one about it. Check out all of the awesome places where I link up! 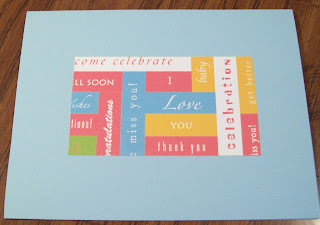 What lovely cards - simple but beautiful! 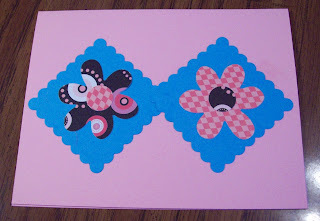 I love having hand made cards on hand! Great job! Those are really cute cards. I've just started getting into a few paper crafts here lately. I even made my own paper the other day. That was fun, but I need to experiment with that some. 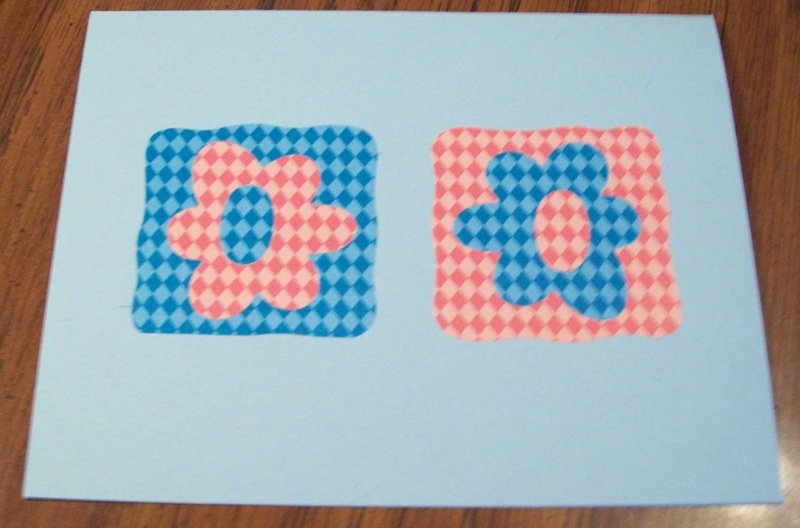 But I haven't tried card making yet. Will have to give it a try. Thanks for sharing. super cute! These caught my eye because i had that same stack of paper strips that you used for these cards. They were SO handy and I made tons of cards with them. How cute! Thanks for sharing at Terrific Tuesdays. 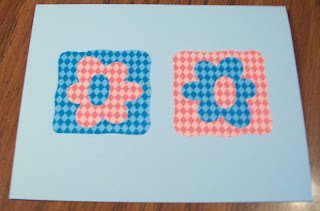 that gingham flower one is darling! thanks for linking this up to tip-toe thru tuesday! we hope to see you again this week! Cute cards! Good luck at the craft fair! I hope you have a great time there!!! how lovely! Thanks for sharing at Things I've Done Thursday! It's Craft Fair Time Again!